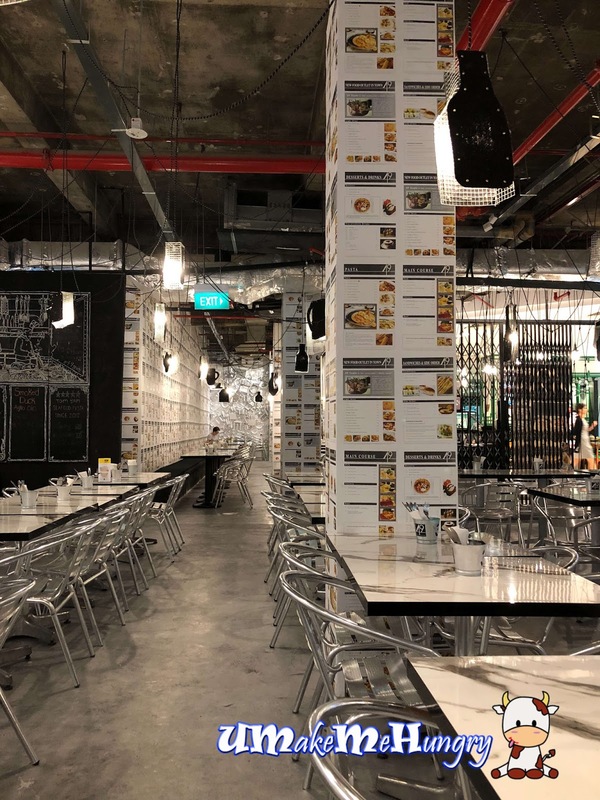 Starting with humble beginnings with 49 Seats (this is how they got their name) at Kreta Ayer Road in 2012 and now they have move to a bigger shop space in Orchard, Centrepoint. 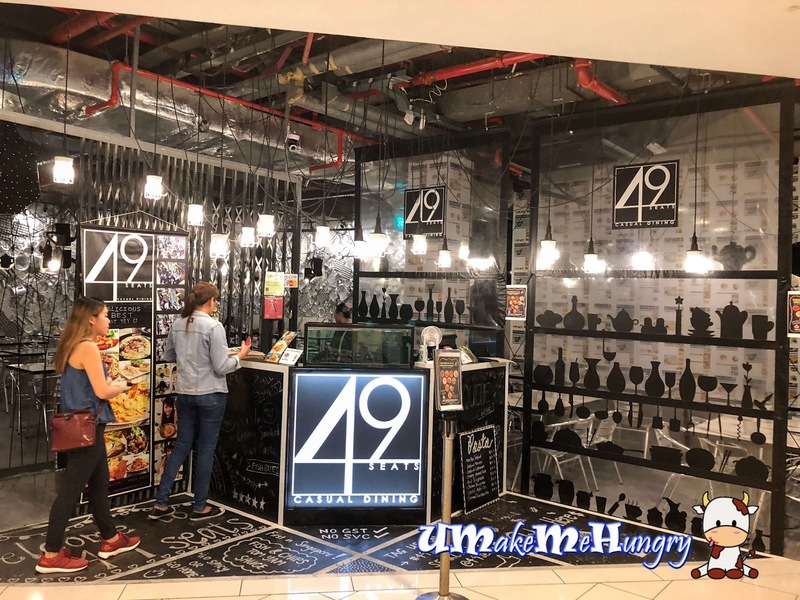 49 Seats are known for their Western Fusion Asian dishes at affrodable pricing. 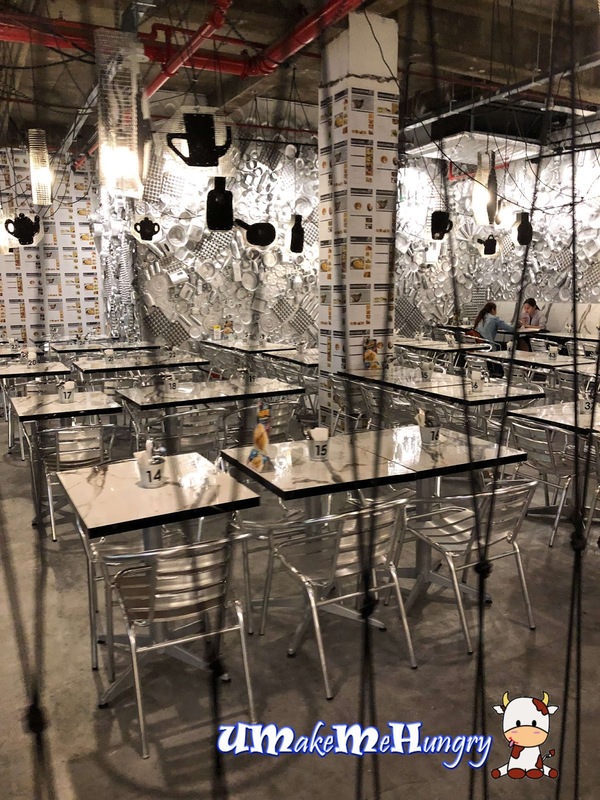 Interior was casual with a good similar industrial chic look that contains bright hanging lights, metal chair. 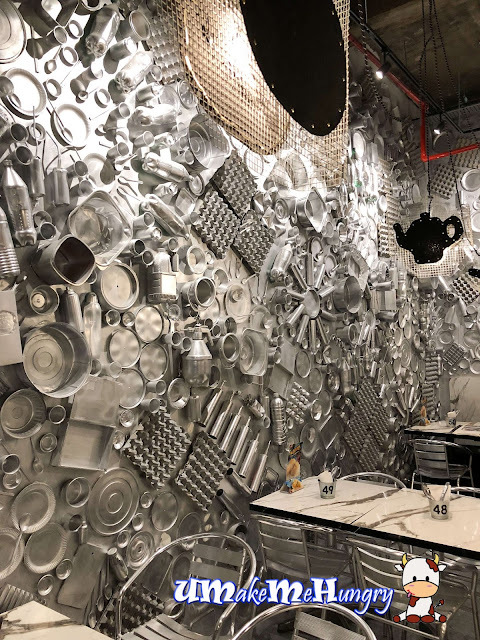 What caught my attention was the items that was sprayed coated in silver that sticked onto the wall. Totally Creative! Initially I thought they were just the usual props made especially for decorations but as I touched it, I realized they were all recycled items. How interesting with plastic cups, spoons, forks, plates, egg trags and even egg trays. Tom Yum Seafood pasta is rated as A spicy lover must try. 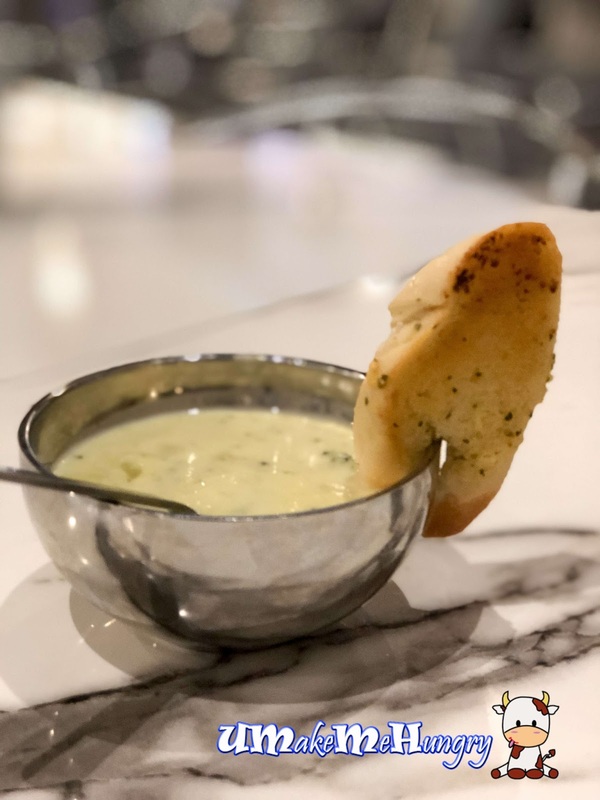 Looks like this dish is highly raved because of its uniqueness. 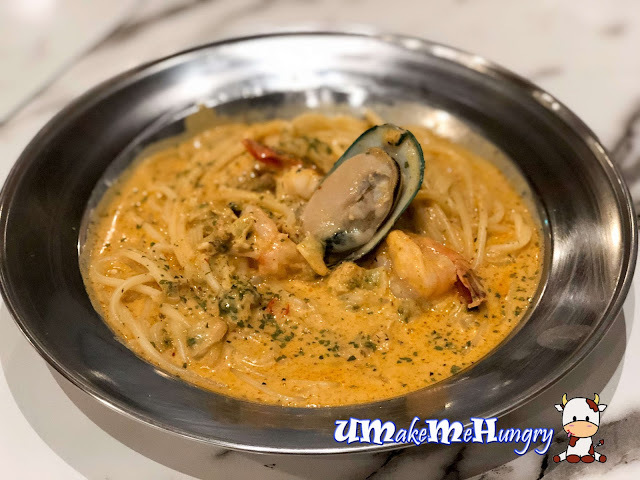 The Tom Yum was served cream base with seafood like mussels and prawns. It packed a good punch of sweetness, sourness and spiciness in every mouthful of spaghetti. This is in fact semi spicy and the bestseller here. Another recommendation on its menu will be their Seafood Marinara and a good alternative if you are not keen in spicy Tom Yum. 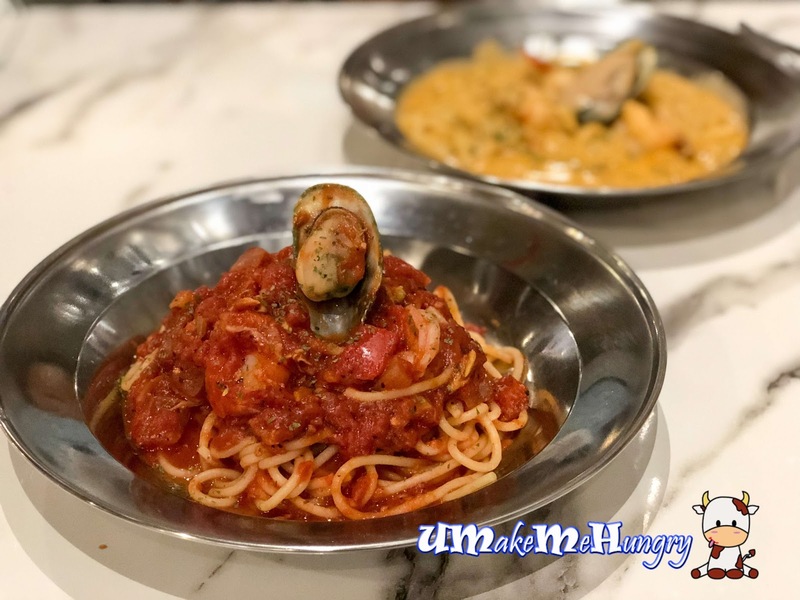 Pasta is pretty tasty with mussels and prawns paired with tomato sauce. Adding $4.90 to my pasta for set of additional soup of the day and 1 soft drinks. I had the Cream of Brocoli with garlic bread by the side of the double layer bowl. The soup was not quite hot, however still able to warm up the tummy. The environment did leave a good impression. As we were only there for pasta, we have not tried out the other western food dishes. It will be good to be back again.